Sometimes we are so full with memories that we just need someone to sit down and hear us out. She led the beauty of what she love, pave her way. She manifested her utmost will to learn new things and work within deadlines. College was now a history, this girl was now working, earning and enjoying each moment to the bit. Internship!! Well, the word itself gives an impression of having fun and learning a lot. I am glad I got a chance to be an intern at Dell. Dell had come to our college for campus placements and it decided to take interns from 3rd-year B.Tech students and yes, I got selected! I will start with receiving the offer letter. I guess that was the best day ever. Going through that letter the one word which caught my attention was “STIPEND”. We had no idea we would be getting paid for the work. That sounded cool and all the 11 interns were excited about this awesome experience. So yeah I was ready to spend my next 3 months in Bangalore! I won’t forget to add the long shopping list I had in my mind! Yes Now about Dell. Don’t judge me or think I am biased when I say DELL is simply awesome and the people at Dell, well they are even more awesome. The first day at Dell was all about induction and getting to know all the people I will be working with, in the next 3 months. We got our personal DELL laptops to work with. I, on that day, got to meet with other interns from Shiv Nadar University, Noida. Each one of us was assigned a manager, mentor and a BUDDY. Yes, you heard me right. A BUDDY. I was overwhelmed when I got to know my buddy was also from Odisha. Now I had someone to talk to in India all the time. By the way, a buddy is someone who guides you on a day to day basis throughout the internship. That day itself we had a coffee session with mentors and buddies and they gave us a high-level description about the project. I was excited to know that I would be getting to work with new technologies but at the same time I was worried if I would be able to stand up to their expectations. They assured me that it was going to be an experience which I will treasure for life and yes, they were right about it. Now I had a cubicle to sit, a laptop to work with, free supply of lemon tea and coffee on the floors and some really experienced people to work with. Sounds exciting? What else can someone ask for? The project was basically working with.NET, pl/SQL and using control M, now I had no experience of working with any of these earlier. I was asked to do some research till I get comfortable to actually start working on it. I geared up for all the effort. Meanwhile, slowly the bonding and the fun started with all the employees sitting nearby to my cubicle. You know that’s great there is no time constraint on you. You can come and go at any time, you can wear any type of clothing (of course it has to be decent but thankfully not formal), and you can work from home. Do whatever you want to do but just complete the work assigned to you. That’s it! That sounded great to a college engineering student who had to worry about all the attendance issues. I was in love with the very idea. So yes I started with the project, initially I faced a lot of hardships as I had no idea how to work with all the stuff, but then, here at Dell you can simply walk up to anyone and talk about the project progress. They will try helping you by some way or other. So I got all the help from my buddy and mentor and all the members in the team. Ad how can I forget about my Manger, well he is simply the best. At first we thought him to be strict but no he was approachable and really cool. He asked us to follow proper software development lifecycle and prepare a plan on how we are going to spend our next 3 months. And bang! It had to be our own creative way to present the plan to him. Now coming to the fun part, interns are the most pampered people at DELL. So many events were organised for us. Starting with intern melange, a dinner party (food was delicious, I wish I had a better appetite! ), an offsite at Club Cabana, a special farewell to me at the end where I got a chance to go for go karting! And the list is endless! These events were just like icing on the cake and added all the fun elements to the office life. I had prepared proper documents for each of the phase and that gave me fair understanding of DELL’s SDLC process, College life is great, but internship is a must because college does not give you a chance to apply all the theoretical knowledge practically. You get exposure to work culture and a chance to interact with the experienced and eminent IT leaders from the office. Socialising with the people, hanging around with them, that’s fun! Starting with unplanned computer classes to getting your work done in time, to taking initiative and responsibility for your work this internship taught me all. And the most important thing for any youngster today: getting paid for your work! Receiving 20k per month while you are still in college is like a dream come true. I was on a shopping spree. Bangalore offers you such variety of options be it for clothes, cuisines or simply the weather. It just surprises you! College gives you a syllabus but companies/manager does not. He expects you to work and take some initiative and responsibility for your work. People, don’t stress you with CGPA’s. Seriously, it doesn’t matter that much. It is not mandatory that you have to be the topper to perform well in office. I realised all of these throughout the internship. I can just go on and on about the experience, but these were something worth sharing. This internship was the best thing happened to me till date, I met some awesome people with whom I still am in contact, got paid for my work for the first time, learnt to handle things independently and more importantly adjusting with the situation and not giving up. I loved the experience and now that it is over I miss the office, going and working in that cubicle. I hope I get a chance to go there the next time. Yes, we will soon be informed about the PPO’s. *fingers crossed* Last but not the least, Bangalore treated me well with the weather, the shopping destinations and the restaurants. Not to forget the trip to Nandi hills and Mysore were superb. Guys’ nightlife is awesome there in case you want to visit the pubs! Girls shopping should be on your mind all the time. I am glad I got a chance to write all of these. 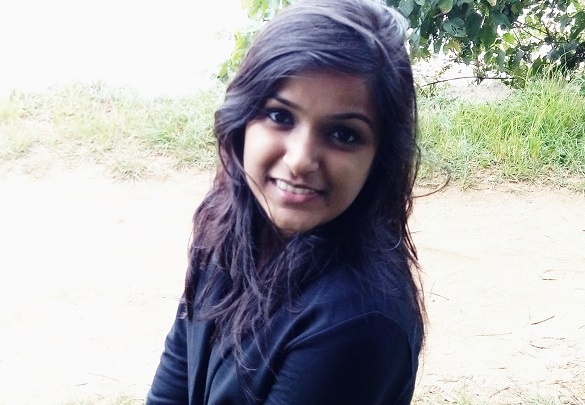 If Somika’s experience motivates you, you can check the latest internships in Bangalore and latest Computer Science internships. I Really want to work for 6months in our company .I am willing to do the job . I have completed my diploma in Electonis& Telecommunication in Cosrow Waid Institute Of Technology Pune . We will advise you to connect with the company through their careers page or contact their HR personnel through LinkedIn.